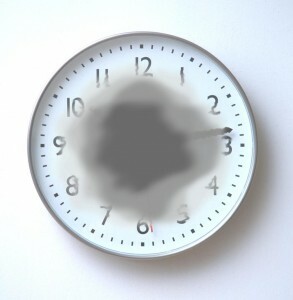 Age Related Macular Degeneration (ARMD) is the leading cause of blindness in people over 65 years old. As many as 13 million people in the U.S. have some form of the disease with approximately 1.7 million having some sort of visual impairment. About 30% of people over the age of 75 have ARMD and another 23% will develop it within 5 years. Each year more than 200,000 people develop the wet form of ARMD. The macula is a tiny area of the retina, only millimeters in diameter that is responsible for our central, fine, and detailed vision. If this area is damaged, our vision becomes blurred and distorted causing distance and especially reading vision to be affected. 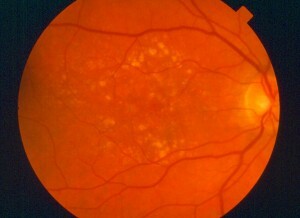 There are two main forms of the disease; the dry form which makes up 90% of the cases and consists of yellowish deposits called drusen and loss of pigmented tissue, both of which occur in the macular area; and the wet form, which consists of the development of new blood vessels, hemorrhage, deposition of fats and fluid in the macular area. 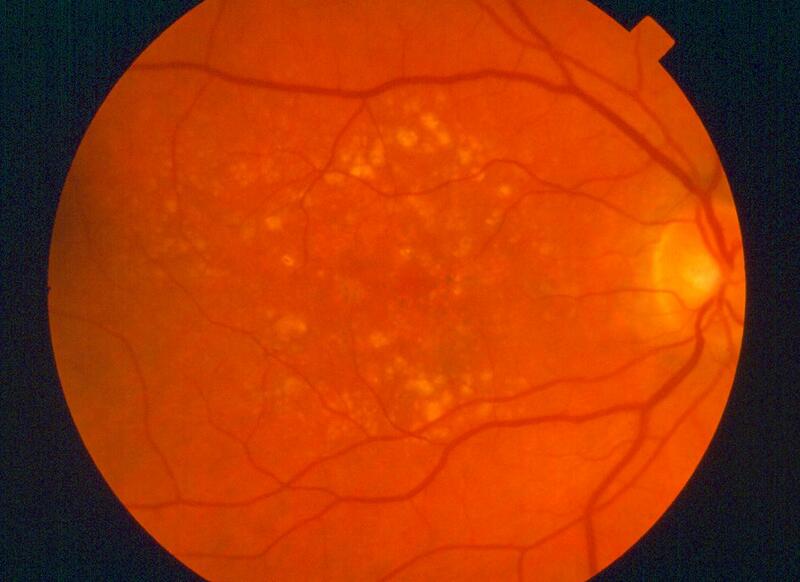 The Age-Related Eye Disease Study (AREDS), found the use of antioxidants and zinc significantly reduce the risk of worsening ARMD in patients with moderate or severe dry macular degeneration. Five helpings of fresh fruits and raw vegetables, particularly green leafy vegetables, are recommended by major medical organizations as well. Two formulas of over-the-counter vitamins meeting the AREDS guidelines are widely available, I-Caps and Ocuvite Preservision. Treatment is only available for the wet form of ARMD. However, through new technology, we are able to detect the first signs of development. 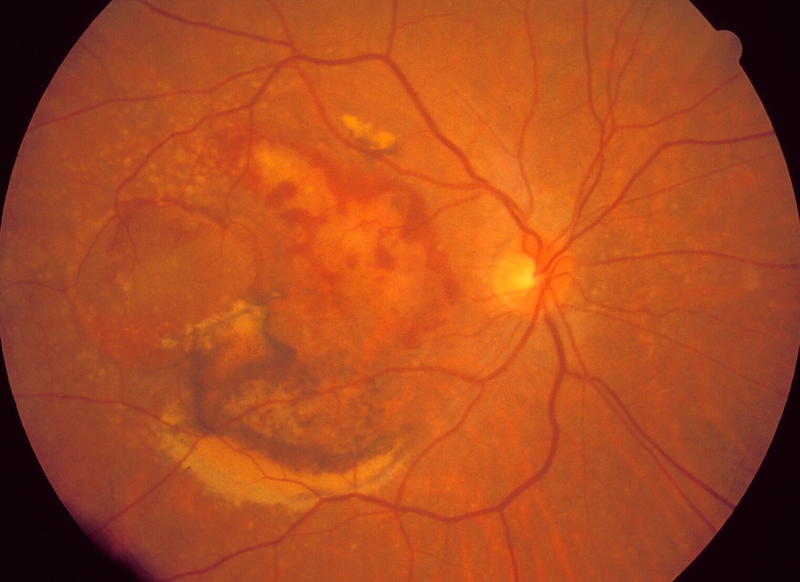 The Preferential Hyperacuity Perimetry (PHP) test is able to detect minute changes in the macular region. It is a quick, painless test that is performed as part of your regular eye exam. Patients at risk are checked at regular intervals to monitor any progression. New injectable medications are now available to treat wet ARMD. These treatments include Avastin and Lucentis injections. Photodynamic Therapy (PDT) laser can also be used alone, or in conjunction with injections. Research into new pharmaceuticals, genetics, and nutrition will continue to provide more treatment options in the future. An Amsler Grid is often used by patients to monitor for any visual ditortions at home. The grid is viewed with one eye at a time, approximately 12-16 inches away. Looking directly at the central dot, the patient checks for any distortions in the horizontal and vertical lines of the grid. As in figure 1, at right, a normal grid appears straight. 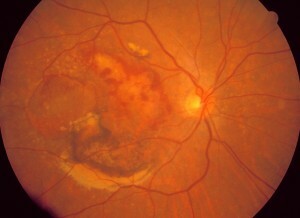 In figure 2, an example of distortions that can be seen by a person with macular degeneration. Checking for any changes in the Amsler Grid can help provide treatment quickly, before permanent damage occurs. Dr. Garfinkle utilizes the Foresee PHP to help detect wet macular degeneration. Learn more.